An image of the close aide of ISIS chief Abu Bakr al-Baghdadi, believed to have been killed in a U.S.-led air strike on a convoy of militants in Iraq, was revealed on Sunday. The aide Auf Abdulrahman Elefery, who went by the code name Abu Suja, was reportedly killed after the strike, which targeted the western Iraqi border town of al-Qaim, tribal sources told Al Arabiya News Channel on Saturday. The fate of Baghdadi, the leader of the Islamic State of Iraq and Syria militant group, remains unclear following reports stating he had been critically injured in the strike. "He [Abu Suja] and Baghdadi were rarely separate. 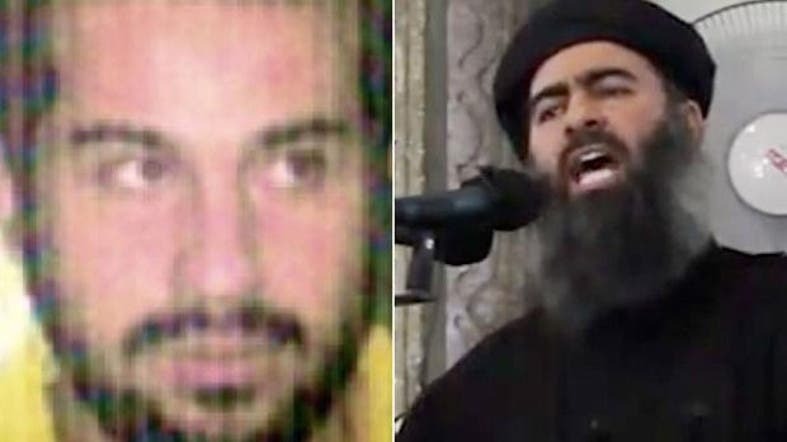 It's for this reason that it could be possible that Baghdadi was with him [at the time of the attack]," Hisham al-Hashimi, an Iraqi security strategist, told The Telegraph, which posted the image of Abu Suja. Iraqi officials said Sunday Baghdadi was wounded in an air strike over the weekend, the Associated Press reported. Pentagon officials, however, said they had no immediate information on such a strike or Baghdadi being wounded, the agency said. Both Iraq’s Defense and Interior Ministries issued statements saying Baghdadi had been wounded, without elaborating, the AP reported. On Saturday, tribal sources told Al Arabiya News Channel that Baghdadi was “critically wounded” when an air strike targeted the western Iraqi border town of al-Qaim. They said other senior ISIS members were killed in the air strike that targeted a gathering of ISIS leaders. The Associated Press on Sunday quoted an Iraqi Interior Ministry intelligence official as saying the strike happened early Saturday in the town which is located in Iraq's Anbar province. The official, citing informants within the militant group, said the strikes wounded Baghdadi, AP reported. A senior Iraqi military official also said he learned in operational meetings that Baghdadi had been wounded, the agency also said. Neither knew the extent of Baghdadi's apparent injuries. Both officials said the operation was carried out by Iraqi security forces. Neither knew the extent of Baghdadi's apparent injuries. Can ISIS maintain the ‘Caliphate’ without Baghdadi?